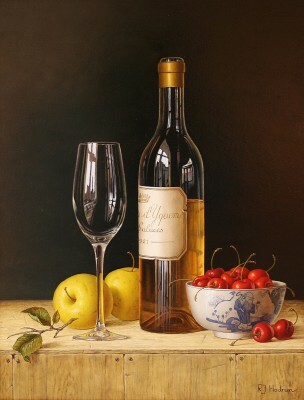 Roy Hodrien was born in 1957 on the Wirral, Lancashire. 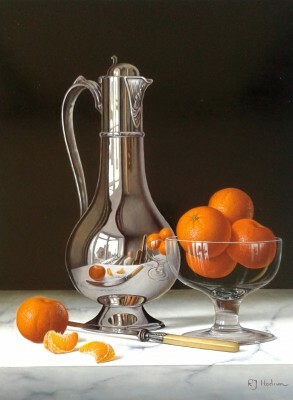 It was while he attended the local Grammar School that Roy discovered he had a serious interest and talent in painting. 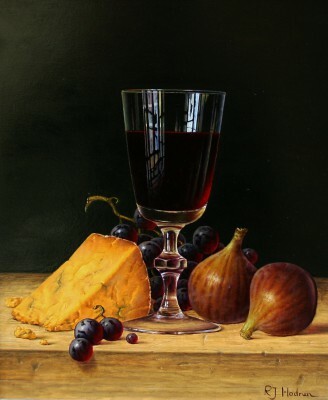 As a result of the encouragement from School he went on to complete an art foundation course at the local Art School and then on to further art study in Coventry. For a period of time Roy developed a fascination with animal paintings. 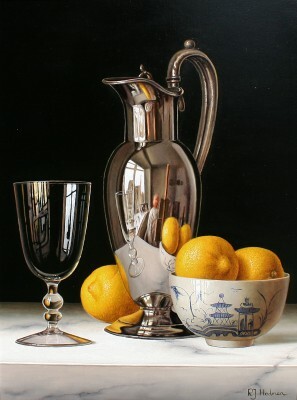 He undertook many private commissions. His interest in dogs culminated in the publishing of a book entitled Pedigree Dogs in Colour which contained over one hundred illustrations and for which he wrote the whole text. 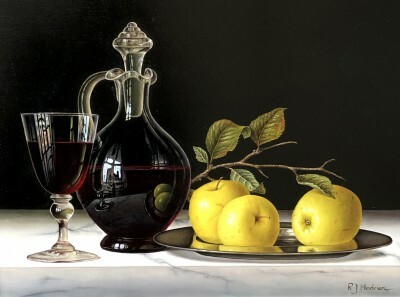 After working in the advertising world Roy Hodrien began to concentrate on his still-life paintings. 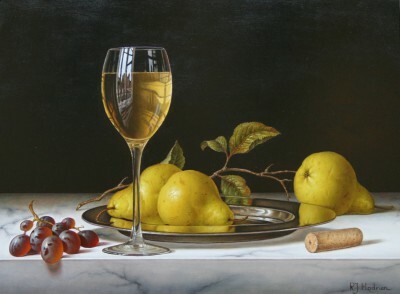 He has mainly been influenced by the 17th Century Dutch Masters, particularly Willem Kalf and Jan Davidsz de Heem. 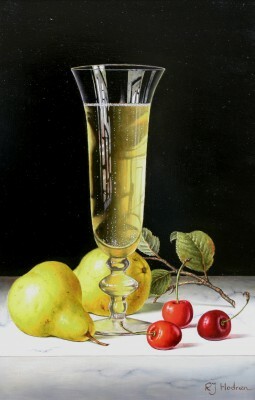 Roy's technique is based upon the build up of thin layers of paint to produce translucent effects that are essential in still-life work. The highlights, though, are achieved through use of thick undiluted paint. 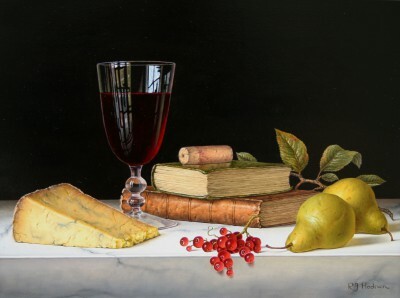 It is with these techniques that he aims to capture the richness and precision of the Old Masters paintings whilst maintaining his own individual style. 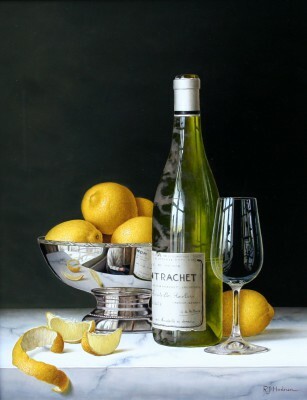 His adaption of traditional techniques into a unique contemporary style has created an enthusiastic following amongst art collectors of the genre. 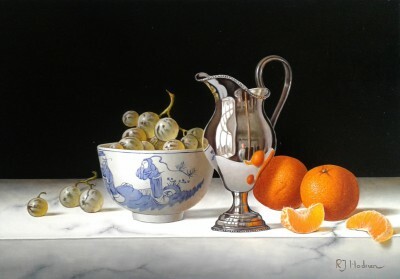 In addition to Red Rag British Art Gallery Roy Hodrien has exhibited at other leading British Art Galleries. 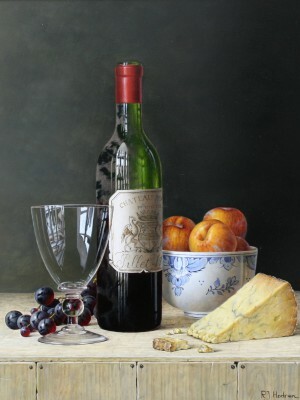 Each painting at Red Rag is sourced from the Roy Hodrien artist studio and like all Red Rag British art and Contemporary art it can be (and often is) shipped worldwide. 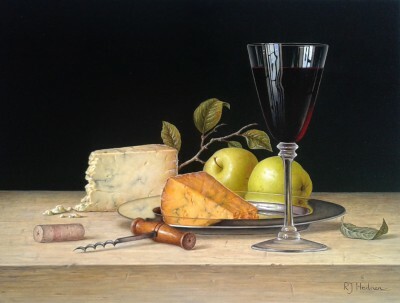 Artist Roy HODRIEN is one of a growing number of artists whose modern art works feature at Red Rag Gallery in Bath. 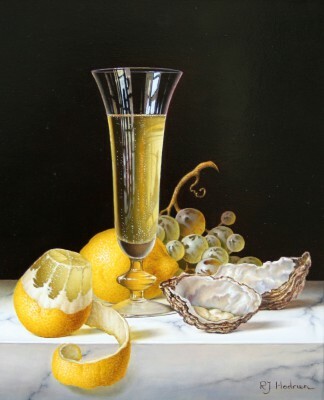 Modern art work from Roy HODRIEN is regularly exhibited at the Bath art gallery which also offers an extensive choice of modern art, contemporary sculptures and collectible art prints from other present day artists. Should you wish to buy or require further information about modern art from Roy HODRIEN please contact/email Red Rag Modern Art Gallery or alternatively contact Red Rag on the number below.